Highlights of the refresh include repainting the formerly white exterior in vibrant colors, new wood flooring and updated seating in the main dining room. In general, the restaurant — which opened in October 2000 — has a brighter, more modern look. In addition, the restaurant now has a dedicated event space and banquet center for large groups. The restaurant, truly a family-run operation, is even decorated with family photos from co-founder Mary Vasquez’s hometown of Celaya, Mexico. Hours are 9 a.m. to 9 p.m. Sunday, 11 a.m. to 9 p.m. Monday through Thursday, 11 a.m. to 10 p.m. Friday and 10 a.m. to 11 p.m. Saturday. Note that the cantina is open until 11 p.m. on Friday. The chain also includes another Corona restaurant at 2715 Lakeshore Drive and one in Foothill Ranch, as well as well as 18 Miguel’s Jr. quick service restaurants in the Inland Empire and Orange County. A reopening ceremony will be held at 10:30 a.m. Thursday (April 19). In celebration of the refreshed restaurant, we have several goodies to give away, courtesy of the folks from Miguel’s. Eight $10 gift cards, good at either Miguel’s or Miguel’s Jr.
Five free appetizer (with the purchase of an entrée) cards, good at Miguel’s. Three free burrito cards, good at Miguel’s Jr.
To enter, all you need to do is simply leave a comment below, before 5 p.m. Friday, April 27. Good luck! The contest ends at 5 p.m. PDT Friday, April 27, 2018. 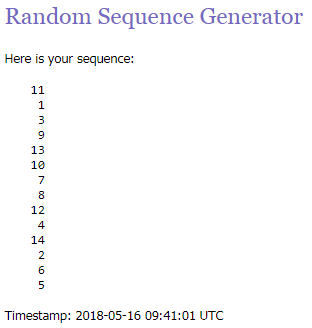 Sixteen (16) winners will be chosen at random via random.org after the close of the contest. Eight (8) winners will receive a $10 Miguel’s/Miguel’s Jr. gift card. Five (5) winners will receive a card redeemable for a free appetizer (with the purchase of an entrée) at Miguel’s. Three (3) winners will receive a card redeemable for a free burrito at Miguel’s Jr. There were two free burrito cards left over, so those were also randomly distributed, but you’ll have to wait until the prizes come in the mail to see if you’re a double winner! I’ll be contacting all the winners to get their mailing addresses, so be sure to check your email/social media feeds. This entry was posted in Corona, Mexican and tagged openings by John Plessel. Bookmark the permalink. Love Miguel’s food!! Can’t wait to see the remodel!! Looking for are to going to the remodeled location! Love Miguel’s Jr, and I can’t wait to experience the new Miguel’s! I’m so excited! My friends and I didn’t realize it was closed for remodeling until we arrived for margaritas for our friend’s birthday. Time to celebrate again! Looks good! I’ll have to stop by one day and grab some dinner and drinks! It’s tamale time once again as the sixth annual Riverside Tamale Fest takes place from 11 a.m. at 7 p.m. Saturday, April 21, at White Park, 3885 Market St., Riverside. Oh I would love a chance to win some of the tasty food that Miguel’s serves up! Everything so far I have ordered has always satisfied that mexican food craving! Looking forward to see their remodel! Miguel’s has the BEST burrito’s north of the border!